If you go to a hair salon to make a new hairstyle, you will have to keep it for a long time because the cost for each haircut is not small. Moreover, if you change your hair regularly with heat and chemicals, the hair will quickly be damaged. But every girl wants to be pretty and always look fresh. 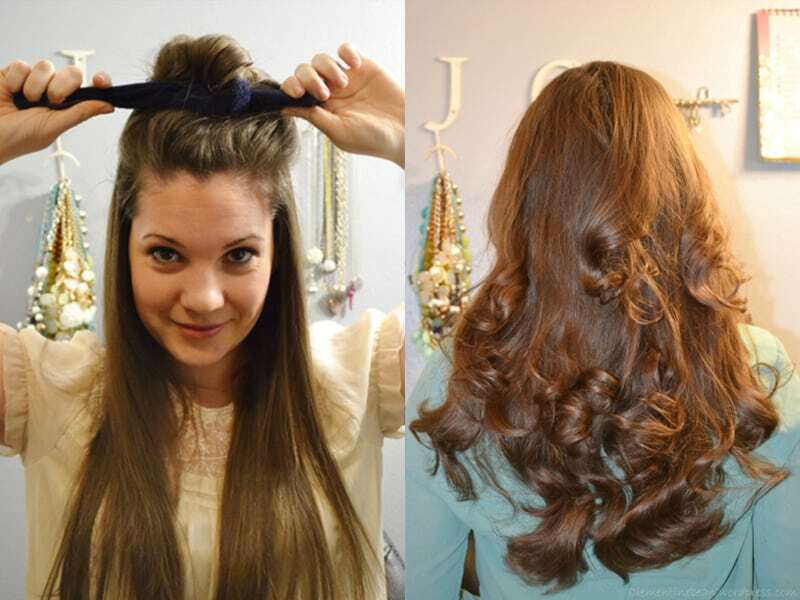 Therefore, the post will introduce how to make wavy hair with simple ways which you can do at home. 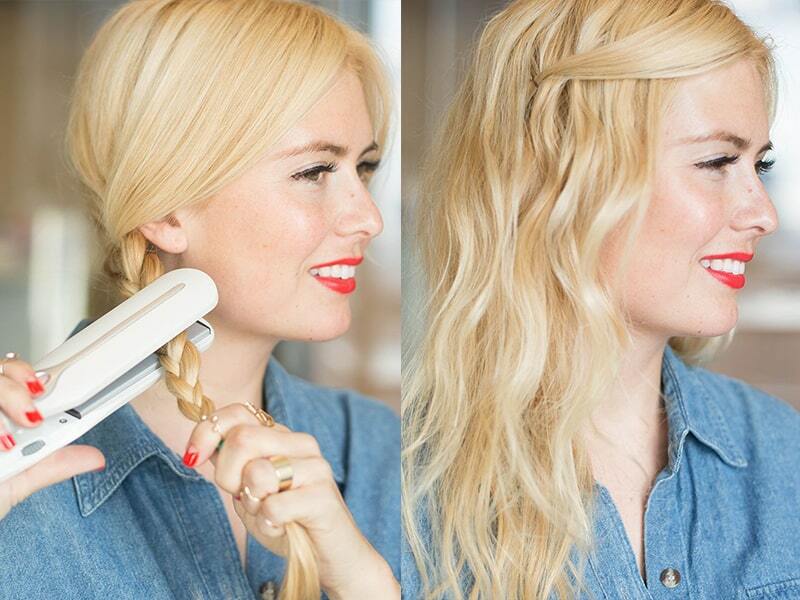 There are a lot of simple and easy ways to make wavy hair without heat. Divide the hair into equal parts, and then use 1-2 fingers to curl each strand with 2-3 rings. Then use the hairpin to position it so that the curls won’t open. You do this in turn until all the curls are gone. 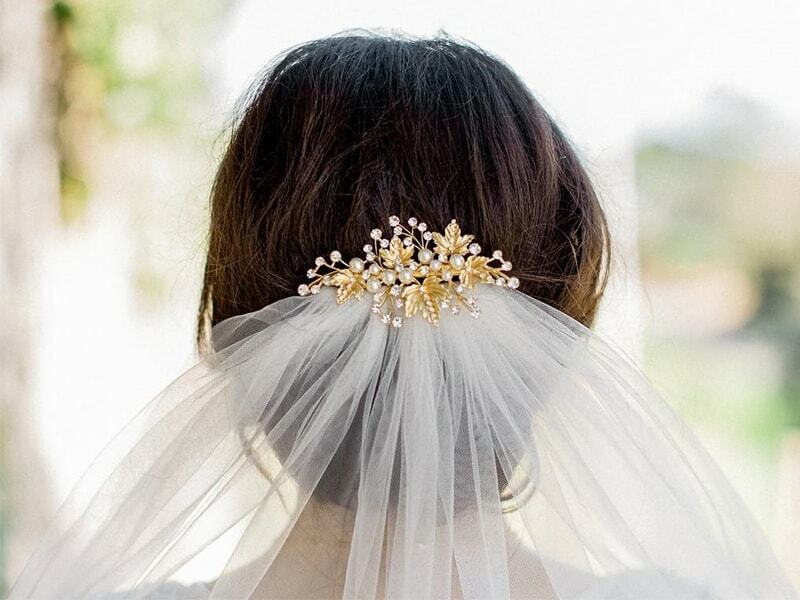 After about 30 minutes, when you take off the hair clip, you will be surprised by your new hair. With this method, you will not be afraid of damaged hair because of the impact of heat and still have beautiful hair. Make curly hair with paper, is it possible? The answer is yes. Furthermore, when using this way, you will have hair with natural waves. Link the layers together, then you twist the paper so that it is tight and the junctions cannot leave. Subtract the bangs. Then wrap a paper around the head, and use a thin rubber band to tie the ends of the paper core like the first problem of your grandmother. Apply a little spray on the hair and smooth your hair smoothly. Turn the curls around the paper one after another in a certain way, without messing around to avoid hair after finishing bending, it will look very tangled. 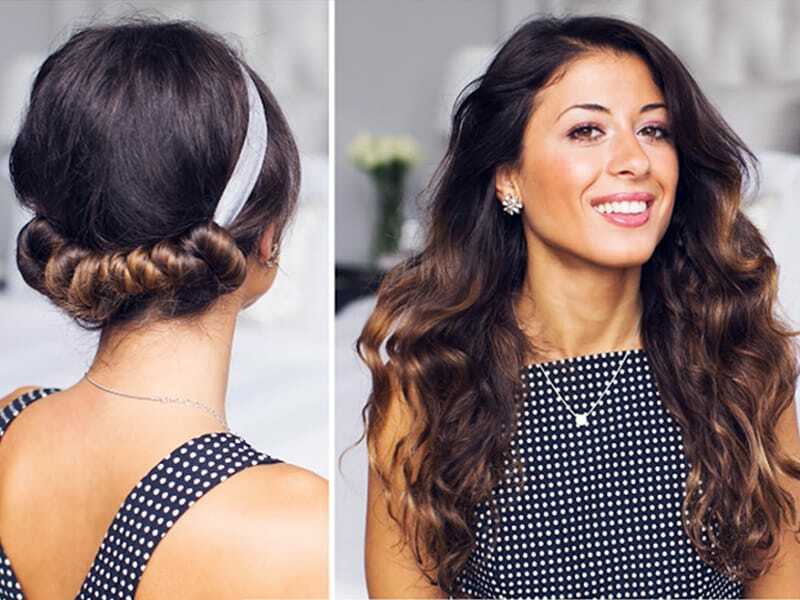 You can make this hairstyle in the evening, then leave it alone and sleep through the night. When you wake up in the morning, you’ll see a whole new hair. Natural soft curly hair waves will help you look more modern and glamorous. The socks that seem to be just going to work, now promote the use that no one expected to be curly hair. Find a new pair of clean socks and start working right away to transform your hair. Brush your hair straight and smooth, then spray some water on your hair to create moisture. Then comb your hair again and divide the hair into two equal parts. With the hair above, take the hair ends placed in the middle of the socks, and then roll the hair upwards at the top of the head. Then, tie the two ends up. You do the same for the end of the hair. You can split your hair into smaller pieces if you want. But note that you should divide it into equal parts to have the best wavy hair. Leave the hair like that to sleep. After you wake up, you will see that surprise. 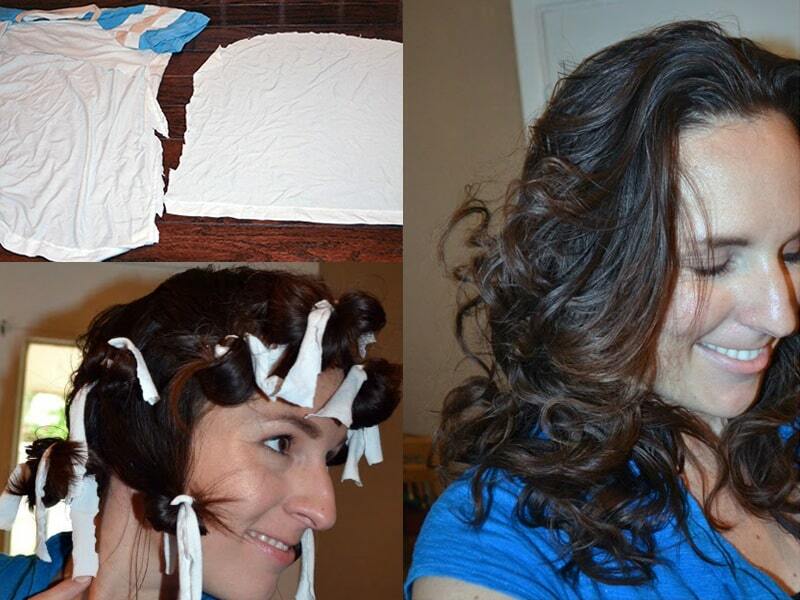 This is the simplest way to make curly hair at home by many people. You can ask someone else to do it or do it yourself. Firstly you brush your hair smoothly so that after the hair finished, it doesn’t tangle. Then divide the hair into small curls, batches and then fix the batch of hair. Leave it to sleep overnight or work for a while and then remove it. This is best suited for curly tails. With only hair bands, anyone can transform their long straight hair into curly hair bobbing at home in the blink of an eye. After brushing your hair smoothly, you divide the hair into small curls. As well as other ways to make curly hair without any additional heat, you can let your hair go to bed overnight, waking up and seeing your hair will be curly. 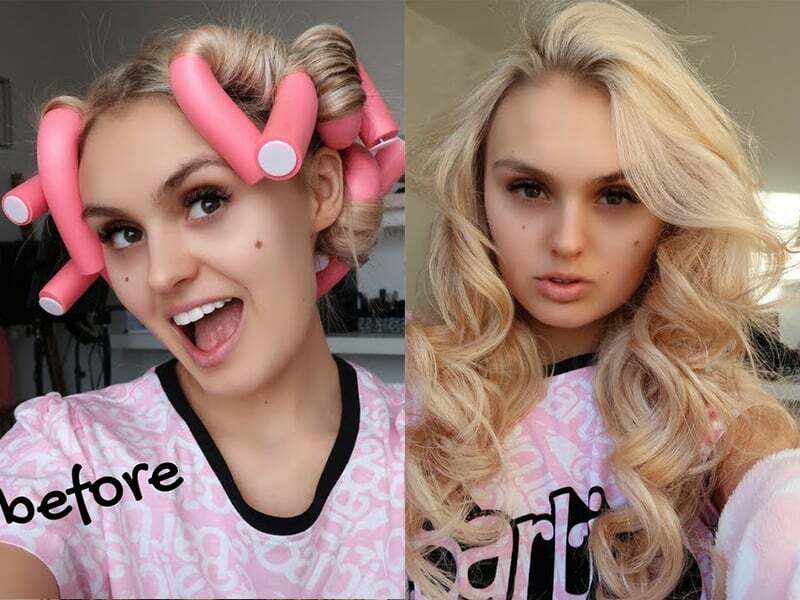 Do you want to make big curls? So remember the assistant is old t-shirts. The first step every time you want to change your hairstyle is to brush your hair smoothly. You should avoid in the process of messing up, take time to troubleshoot. Twist the T-shirt and then use the elastic band to fix it at both ends. Divide the hair into 2-4 parts. Then put the shirt on top of the head, turn the curls around the shirt one after another. The ends of the hair are left over, and you have the clamps fixed. To go to bed and wake up to remove the hairclip and T-shirt. Then, you use a comb to comb your hair and go down the street to play. Your naturally curly hair will make others admire it. If you need a hair wavy immediately, you should use some way below. 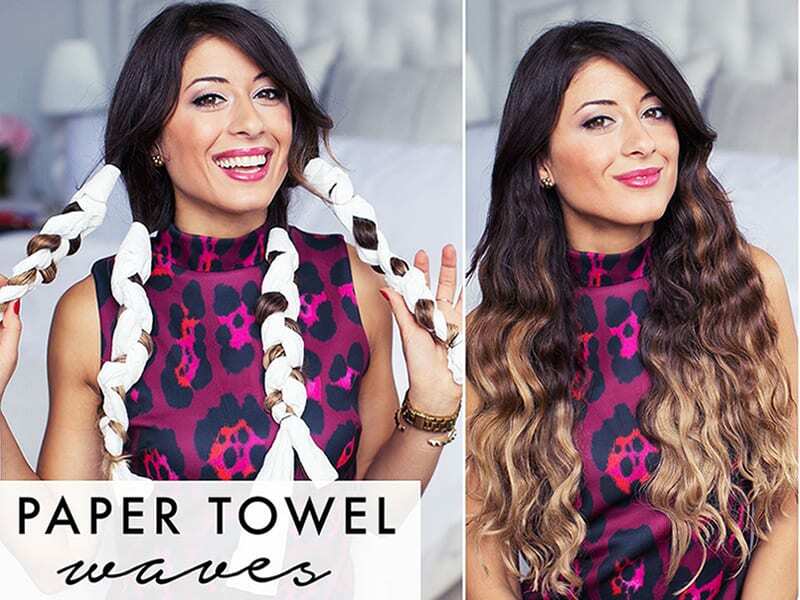 Use a towel to dry your hair after shampooing. Wipe until the hair is drained and reach moisture, then, you apply the conditioning gel along the hair fibers. Divide the hair into sections and clamp them to the top of the head. Start drying along the hair shaft with curls below the nape. Continue to work on with the remaining hair on the top of the head. To straighten the tangle, you should combine the round brush while drying. Apply the conditioning gel before curling your hair. Curl the hair part with a curling iron. Roll your hair clockwise in each direction, rolling in the right direction – playing against two curls side by side. 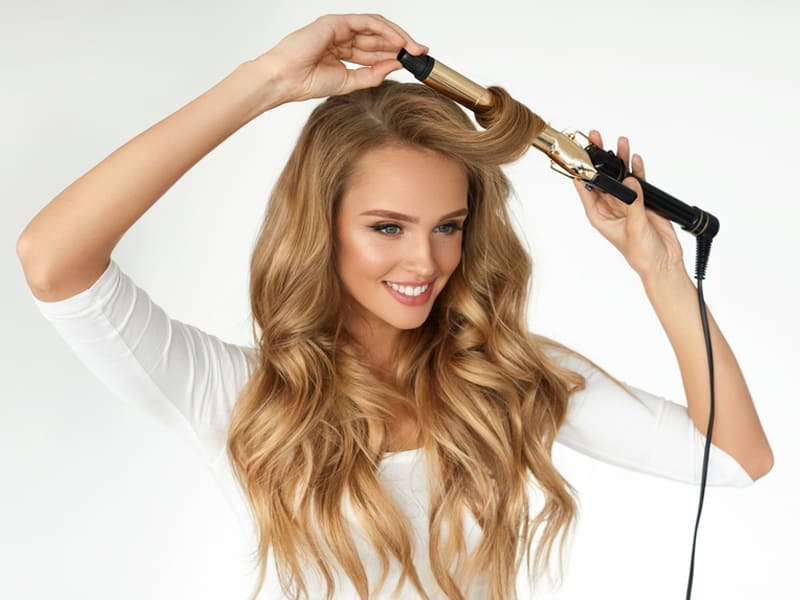 Brush the curled hair in turn, smooth your fingers and position the hair waves according to the big or small curls depending on your preference. Prepare a hair spray bottle to help protect your hair from high temperatures and easy styling. When your hair is still moist, you should spray this solution into your hair to help nourish it because when dry hair does not have a hair protection effect. Next, divide your hair into small clusters depending on whether you want the curls to be big or small. Those with thick hair should split their hair into many strands to make your hair easier to touch. You gently braid each strand of hair that has been split and then grab hairbands. After plugging in enough heat, use the flat iron as part of the previous braided hair. These ways are simple how to make wavy hair at home. Hope that after the post, you will create impressive and beautiful wavy hair on your own. Follow Layla Hair for more information on hairstyles and hair care!